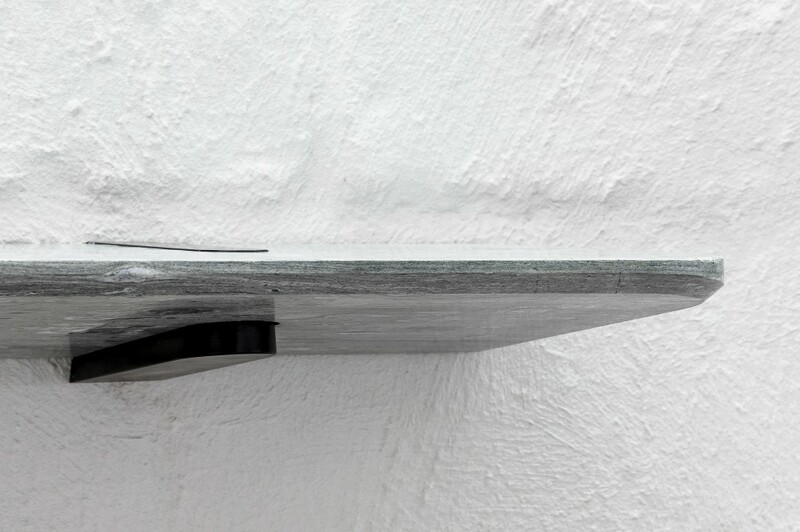 A clip on marble shelf for Van Den Weghe Items launched at Interieur Belgium recently. 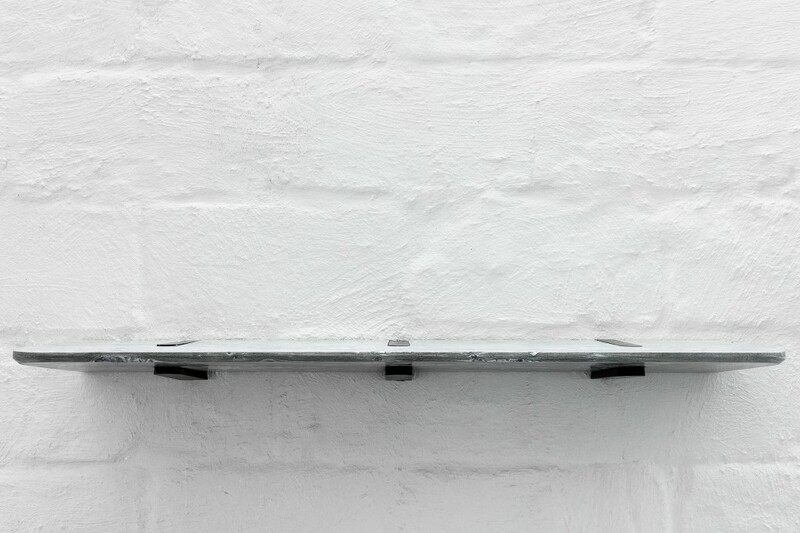 The piece was created as part of the Editions series in Pierre De Vals Stone. It was inspired by the craft skills and techniques the company has kept in tradition at their Kortrijk workshops in Belgium. The studio has run an office in Brussels since Michael was Guest of Honor at the prestigious Biennial in 2002 and has maintained an interest in working with local industries. The project exposes the studio’s interest in practising traditional craft. 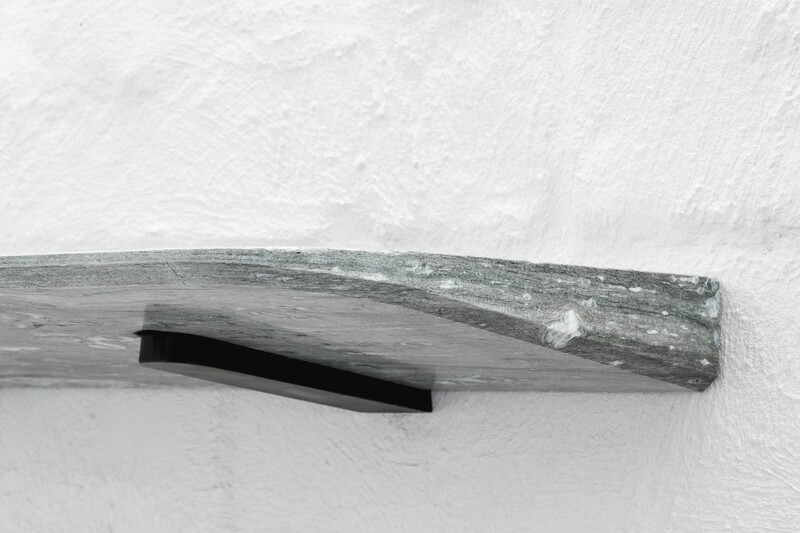 Three small wedges fasten to the wall, and a 7.5 ̊ taper on the stone shelf (1m x 270mm x 60mm) locks it in using only gravity, like a woodworkers dovetail joint. 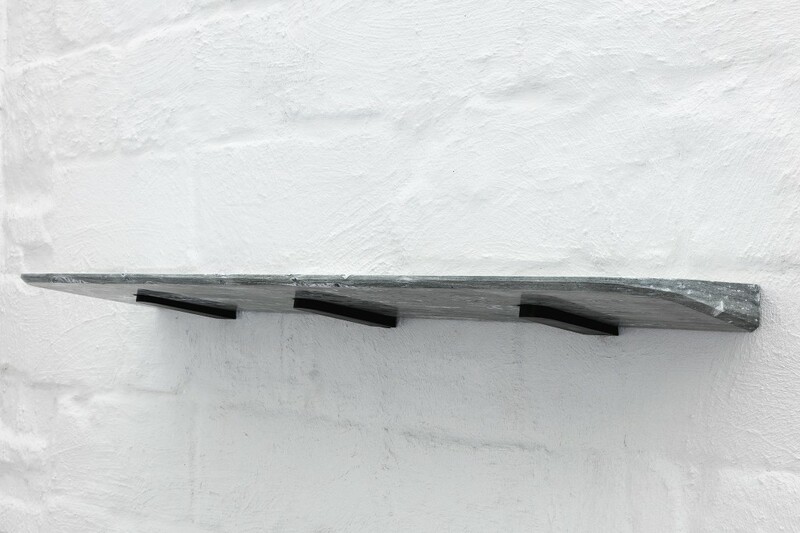 The shelf will be made available in a variety of stones found in Europe. Thanks again for everybody at Van Den Wenghe who made this possible. The care and precision that went into creating this piece is testament to the company’s philosophy; a symbiosis of technology, art and craftsmanship is a continuing endeavour.